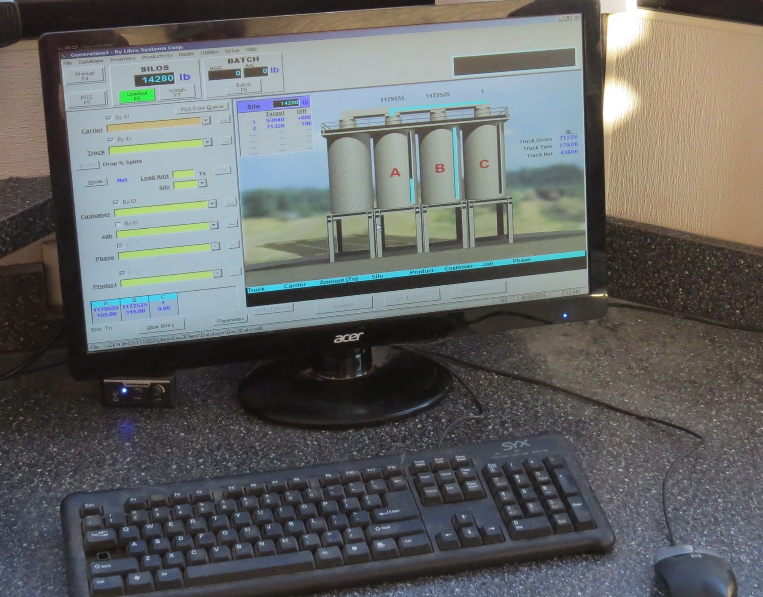 Ken Cardy of Libra Systems explained that the Libra Silo Safety System will not allow a drop to occur if the truck is not detected under the selected silo. Then the user has the option to be prompted prior to discharging the first drop, or every drop. To deliver mix with minimal material segregation, drivers—and plant operators—are instructed to load haul trucks in a three-drop method under the silos. You’ve see this illustrated in AsphaltPro before. 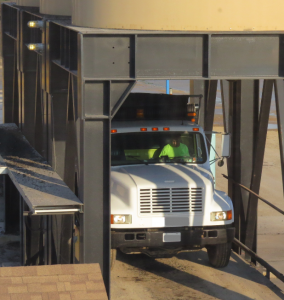 The driver pulls the truck under the designated silo to receive one drop in one end of the truck bed. Then he moves the truck back for the second drop. Then he moves the truck forward to receive the third drop in the center of the truck’s body. The plant owner can set up a system of numbered or lettered stop signs or bars, or an actual traffic light of sorts to help direct this operation. It sounds as if it must be carefully orchestrated by the watchful plant operator who opens and closes the silo gates. While this may be true in some plant configurations, loadout controls can make it easy on the operator. The haul truck driver stops the truck so the bed is positioned for the first of three drops to get mix loaded in the optimum manner. The operator has options in how the system works, but there’s always a safety protocol in place. What it comes down to is preference, but plant operators don’t have to load out trucks manually to load them out correctly. The point of loadout controls is to make the job easier and more efficient for all, and that includes setting up the delivery of mix with minimal chance for material segregation.